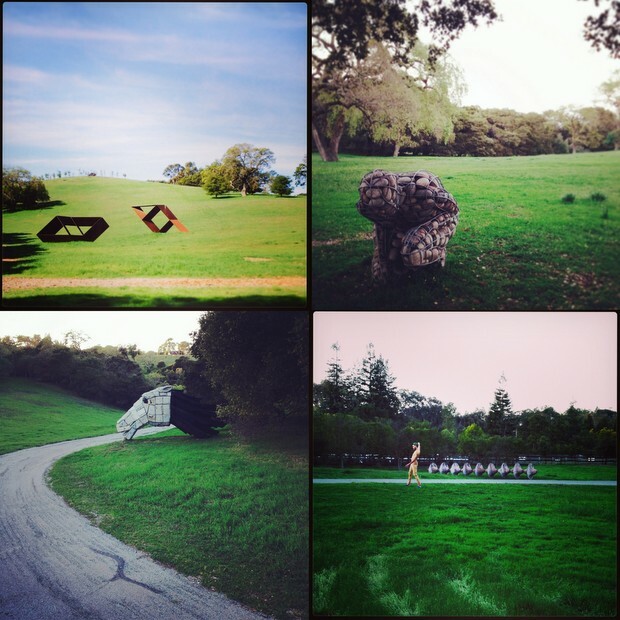 A few weeks ago I landed myself at the incredible Runnymede Sculpture Farm, a private collection of more than 150 contemporary art sculptures over a hundred or so acres in Woodside, California. I ended up sleeping under Charles Ginnever’s Kitsune, pictured in the top left image, and was so inspired that I devoted my art column to the place (and getting closer to art). Read it on page 41 in the April edition of Moonshine Ink. Pictured above, clockwise from the top left are: Charles Ginnever’s Kitsune, Celeste Roberge’s Rising Cairn, Mia Westerlund Roosen’s American Beauties, and Ilan Averbuch’s Horse Head. For more information on Runnymede, read about it in SF Gate and Nihonsuki.com.